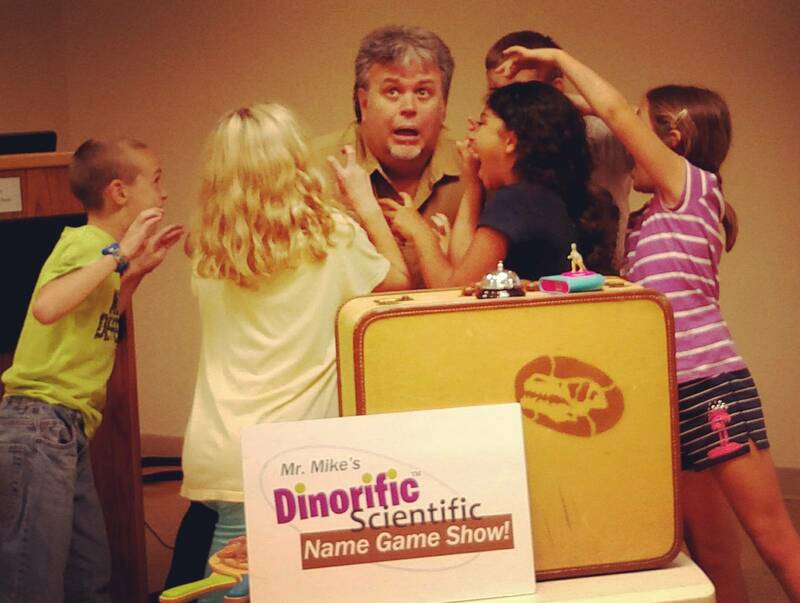 Mr. Mike Dinorific Scientific Name Game Show! “Mr. Mike” Dinorific Scientific Name Game Show! An all about dinosaurs, interactive, fun-loving show with prizes! Shows will take place in the Warehouse Theater at Oregon Dairy. Mr. Mike shares his amazing facts about well-known dinosaurs and helps children discover some lesser known species, along with his dinosaur poetry – or what he calls fact-packed dino-rhymes! Kids will be able to play Mr. Mike’s Dinorific Scientific Name Game Show, where you have to decide the difference between real dinosaur names and the ones that he makes up!